Welcome to day 18 of 31 Days of All Things Home! One of my favorite catalogs is RH Baby & Child. And I especially love the Christmas edition. So when I got mine in the mail this week, I devoured it. (This post is not sponsored, by the way. I just love this catalog!!) I'm hoping everyone can handle a little Christmas before Halloween...because these photos are just so much fun, I didn't want to wait. 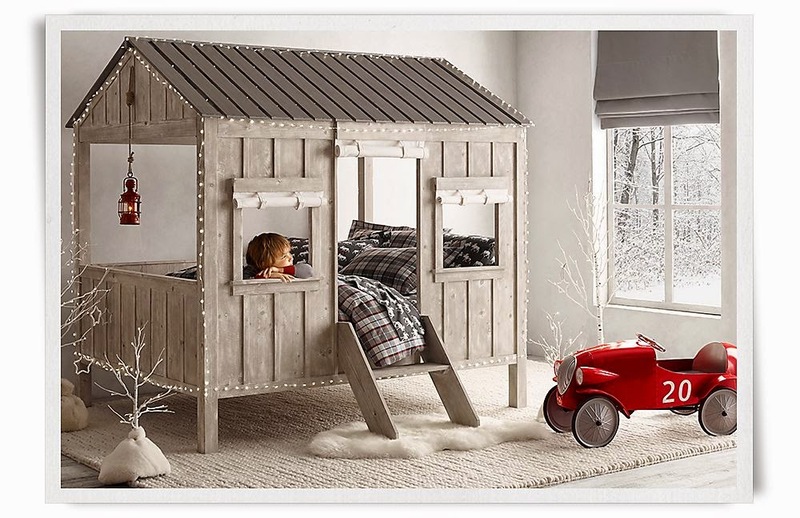 I mean check out this adorable playhouse bed. It's too darn cute! 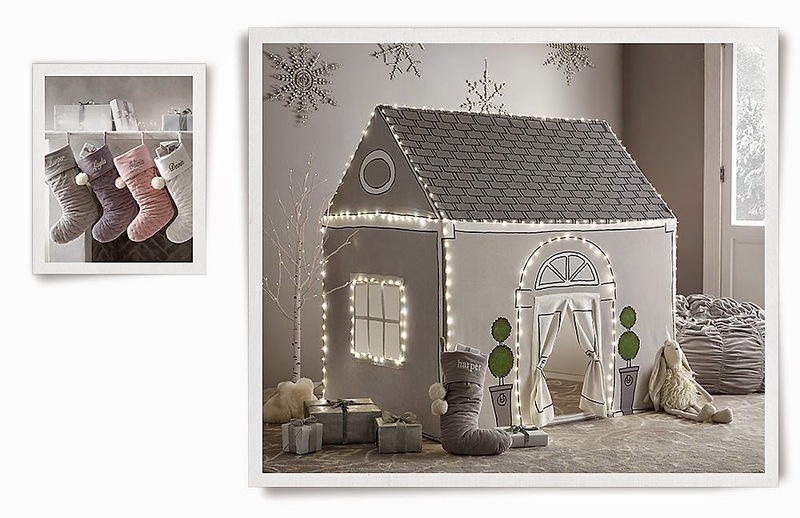 Speaking of playhouses, this one is adorable! 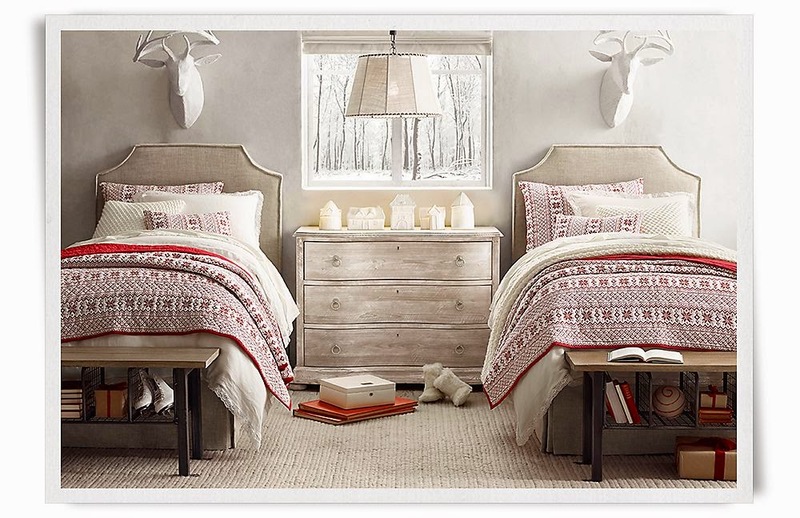 I really love the Fair Isle bedding in this cute bedroom. 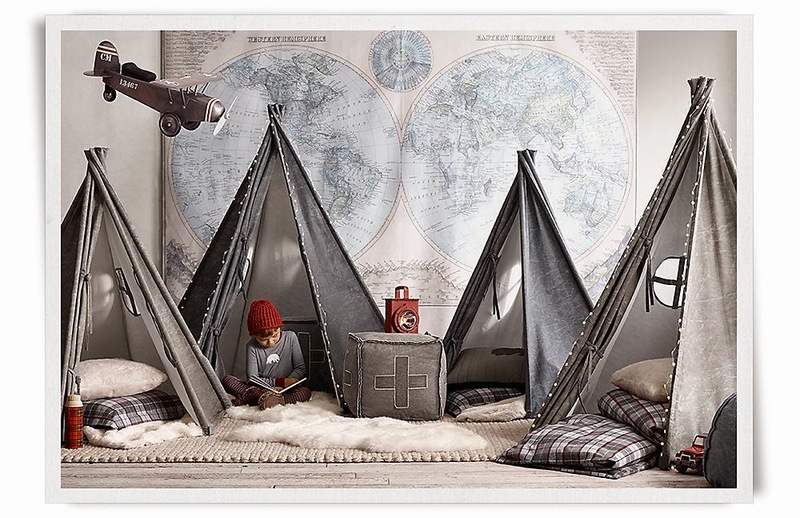 My boys would have so much fun with these teepee forts! 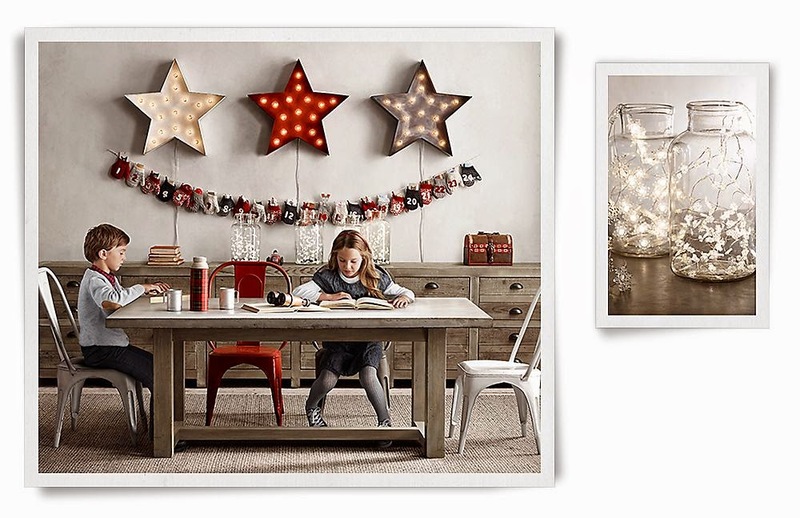 I love the mitten advent calendar and the fairy light jars! You love devouring that catalog and I love reading your blog each day! You and I have very similar taste! Thank you for taking time out of your busy schedule to give us this daily treat!